Hope everyone is having a fun Memorial Day. 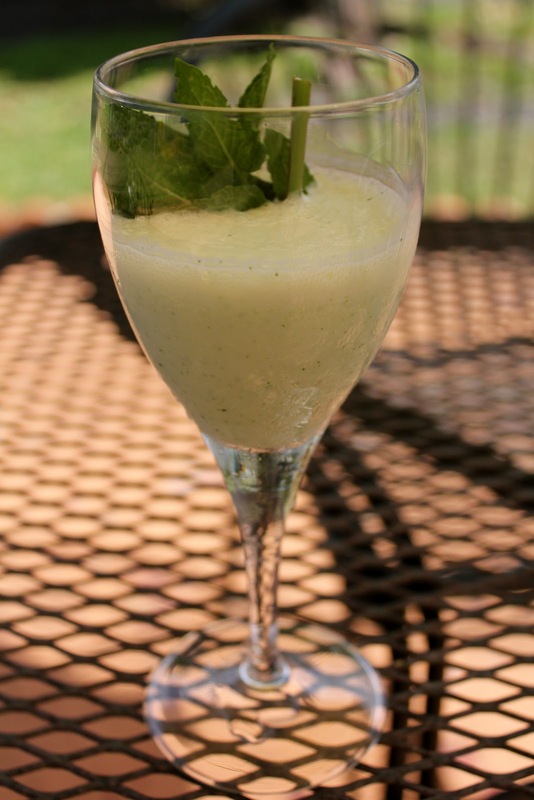 Here's one of my favorite drinks I always make when we're having a get together or barbecue. It's very easy to make and very refreshing. You can find the mint leaves in the produce section of the grocery store. One time though they were all out at the grocery store, so I ended up buying a mint leaf plant, which now sits by my kitchen window. Process all ingredients in blender until smooth. Pour into 2 glasses and garnish, if desired with additional mint. I don't know where to buy Breyers Smooth&Dreamy. Can you tell me?